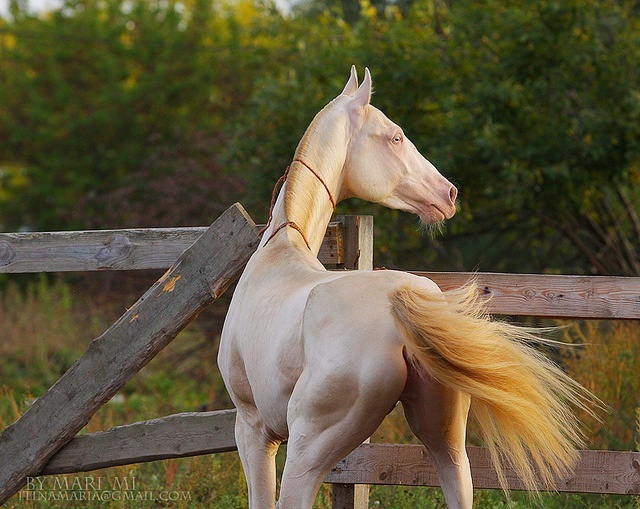 We are referring, of course, to the Akhal-Teke, a breed best known for the natural metallic bloom of their coats. 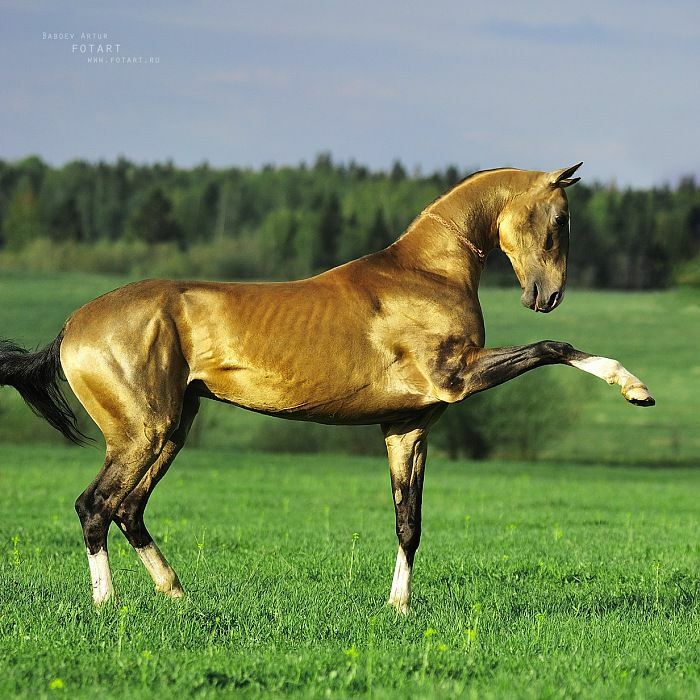 But do you know what is responsible for their signature sheen? 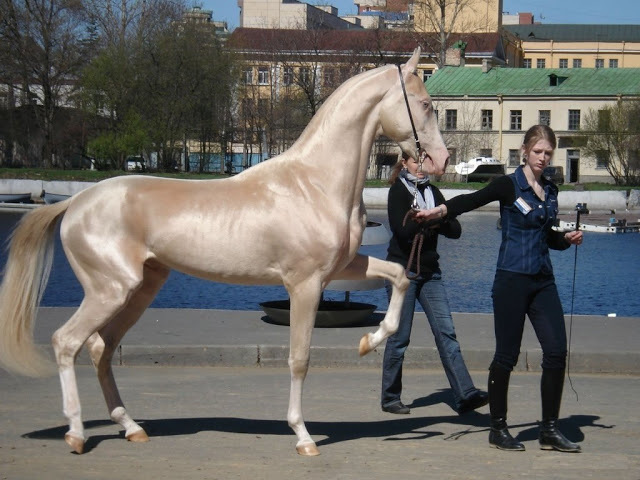 The hair structure of Akhal-Tekes is quite fine and rather unusual. 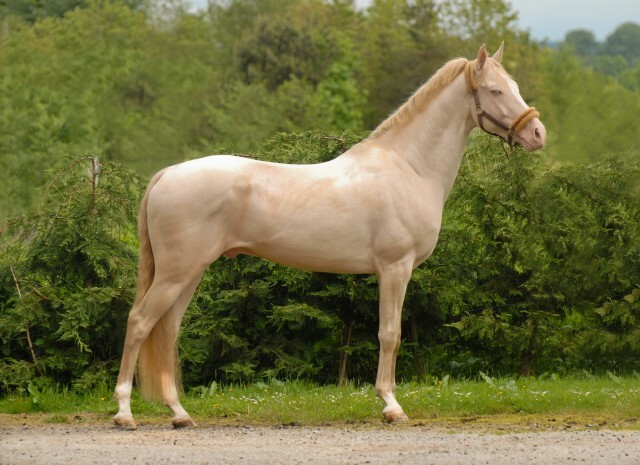 Their “glow” is caused by the smallness, or even absence, of the opaque core that is typically at the center of the hair shaft. The transparent part of the hair, or medulla, takes up the extra space and acts much like a fiber optic tube, bending light through one side of the hair and refracting it out the other side. 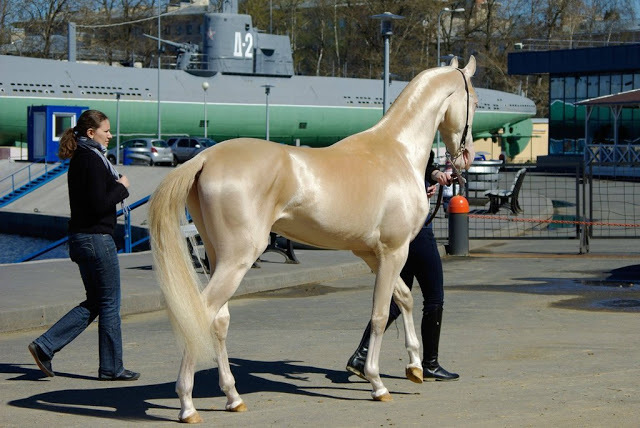 When most people hear “Akhal-Teke,” they probably think of the breed’s archetypical glittering gold color, featured in the photos below. 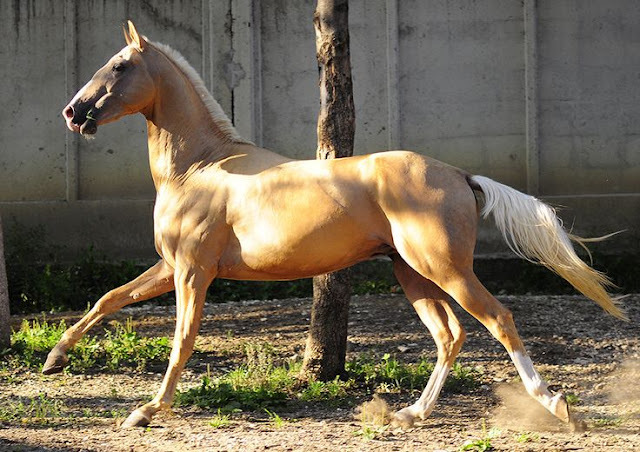 Buckskin, palomino, cremello and perlino coat colors fall into this category. 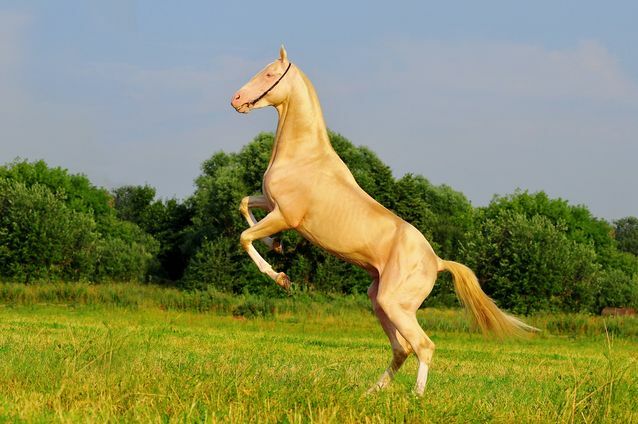 But Akhal-Tekes actually come in a wide variety of colors, ranging from a black that radiates a blue or purple sheen to a beautiful dappled-grey to a vibrant Mahogany Bay. 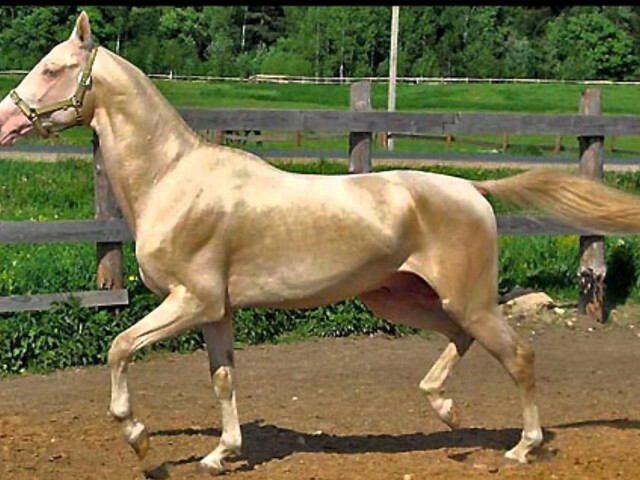 A sampling of colors common to the breed can be viewed on the Akhal-Tekes Association of America website here.